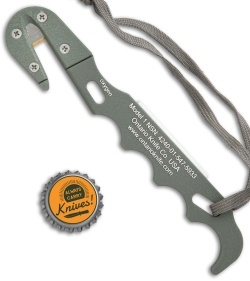 The Model 1 Strap Cutter from Ontario Knife Company is a great tool to have around when you need it. 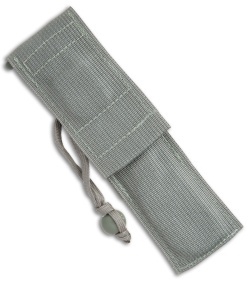 It was designed to fit nicely in a glove compartment, under a seat, or in a survival kit. 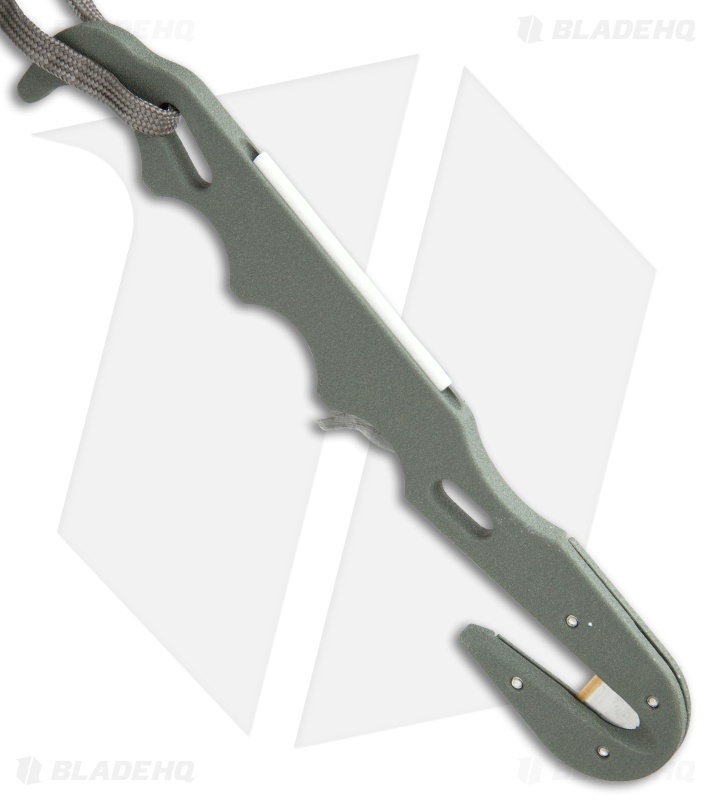 The 6061-T6 Aluminum handle is molded to fit securely and comfortably in your hand to give you ultimate leverage when cutting through that belt/strap. It features a Bi-Metal Stainless Steel (55 HRC) edge and a oxygen tank wrench machined into the handle. 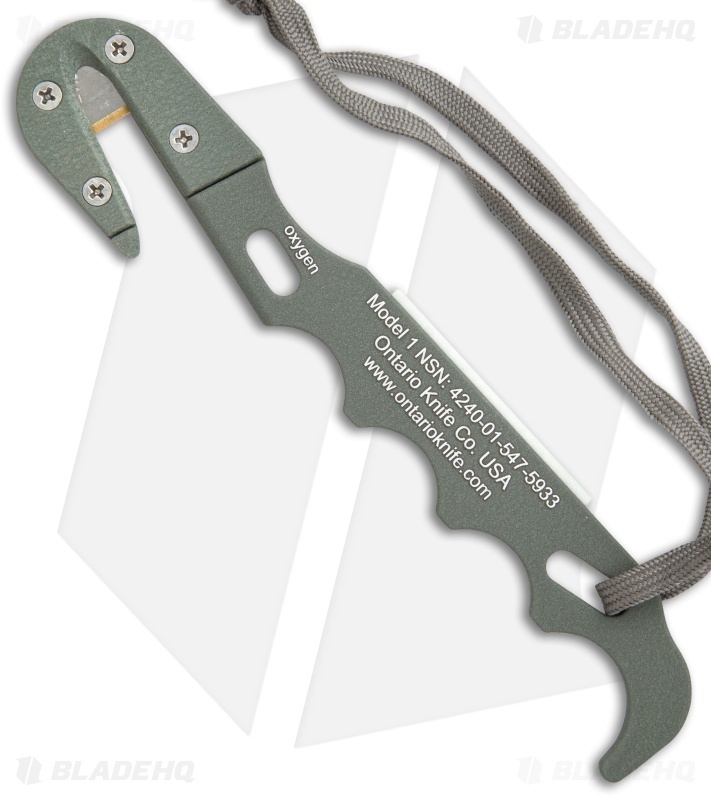 The Model 1 Strap Cutter comes with a matching nylon sheath.